In Coventry and Warwickshire, we are working throughout the Year of Wellbeing to inspire and empower people to make changes that will improve their wellbeing, and the wellbeing of people around them. Time to Talk Day. And we hope you will want to join in the action too, to help defeat the stigma attached to mental health. 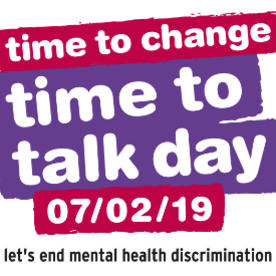 This year’s Time to Talk Day is on Thursday 7 February and aims to bring together the right ingredients to have a conversation about mental health. There will be events running across Coventry and Warwickshire along with radio adverts, and stories and information on social media and online, all designed to get people talking about mental health. You can find out more about Time to Talk in Coventry and Warwickshire and gain access to free editable posters, resources and conversation packs by visiting the Year of Wellbeing webpage. 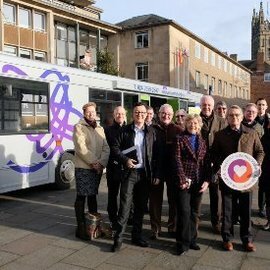 Coventry and Warwickshire's Mind Bus will be out and about in 2019 in shopping centres and at various events across our area. The bus is a wellbeing resource on wheels, making it easier to reach some of the more remote locations. Its aim is to promote the positive aspects of mental health and wellbeing and free support services available. You can check where the bus will be throughout 2019 on Mind's website. On Time to Talk Day (7 February) you can catch the bus at Broadgate, Coventry between 11am and 3pm. Why not pop along and find out more about services to help people experiencing mental health issues? Pets can have all kinds of positive benefits for our physical and mental health. They can be a great way of reducing anxiety and stress, providing companionship and a source of motivation. Dogs make you get out of the house, stretch your legs and take in some fresh air, and stroking a cat is seen by many cat owners as a way of helping them to stay calm. Pets can also provide hope in the most desperate situation. 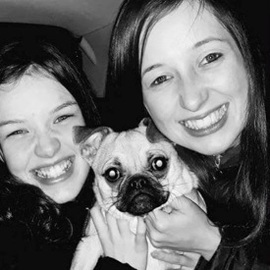 Our new blogger, Jade, shares her family's very courageous journey, fighting back against anorexia with the help of their four-legged friend, Gizmo. 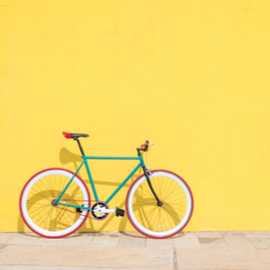 Do you need fresh ideas to help improve your wellbeing? Or do you know someone else who does? 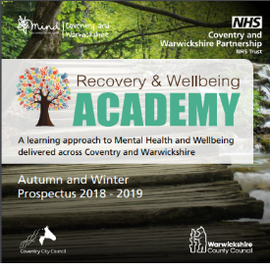 The latest prospectus from the Coventry and Warwickshire Recovery Academy features a wide range of courses designed to help you improve your wellbeing. 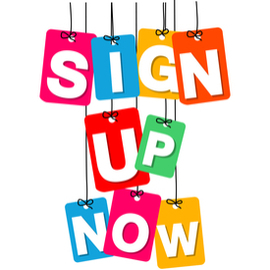 So, whether you need to improve your sleep, tackle debt, improve your wellbeing outdoors or in a host of other ways, check out the Academy’s website to find out more. 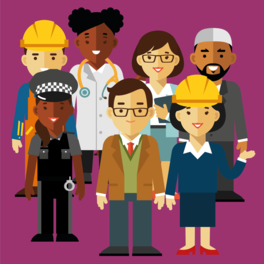 Are you interested in the West Midlands Thrive at Work awards scheme? Do you work in staff wellbeing, and would you like to find out more? Research shows that on average a company with 250 staff loses £250k every year due to sickness. The Thrive at Work scheme can help to improve the health and wellbeing of teams in the workplace...and as part of the process, not only will you have a happier workforce, you will increase productivity. It's a win-win! Get your Year of Wellbeing badge! We want everyone in Coventry and Warwickshire to know about the Year of Wellbeing. 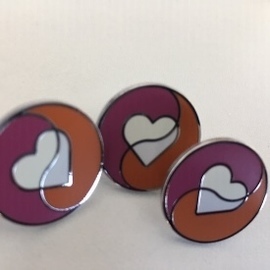 You might like to wear a Year of Wellbeing badge with pride to show you are a supporter. Watch out for more news from Coventry and Warwickshire Year of Wellbeing 2019. 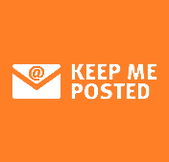 Make sure you don’t miss out on our regular wellbeing updates by signing up, now! Visit our subscriber preferences page and select 'Year of Wellbeing' underneath the 'Health and wellbeing' section to ensure you don't miss out. If you live, work or study in Coventry there are free learn to ride sessions for adults at Coventry Sports and Leisure Centre until the end of March. 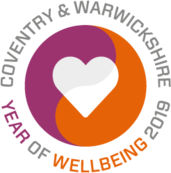 The Year of Wellbeing is organised by the Coventry and Warwickshire Health and Wellbeing Boards which include representation from all of the NHS organisations in our area, together with Healthwatch, local councils, the police and the fire service. 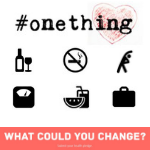 The aim of the year is to share resources to support stronger, healthier communities, and to promote the important of taking action to improve health and wellbeing.